AS IF ONE NIGHT OF FUN WASN’T ENOUGH, Claudia, Alejandro and I, started drinking beer while we hiked our way up to Christo Blanco. From what I’ve learned, beers are good sources of hydration. We passed several narrow trails with dogs. With “cervezas” on our hands, the dogs did not dare attack. There were crowds of alpacas and humans on top of the hill. The white Christ statue is quite beautiful, but the view downhill is prettier. We managed to walk the outside of Sascayhunan, an ancient fortress and then went on to more drinking on the streets! Alejandro asked a local policeman if drinking is allowed and it seemed legal as long as we were in good behavior (that we will see). 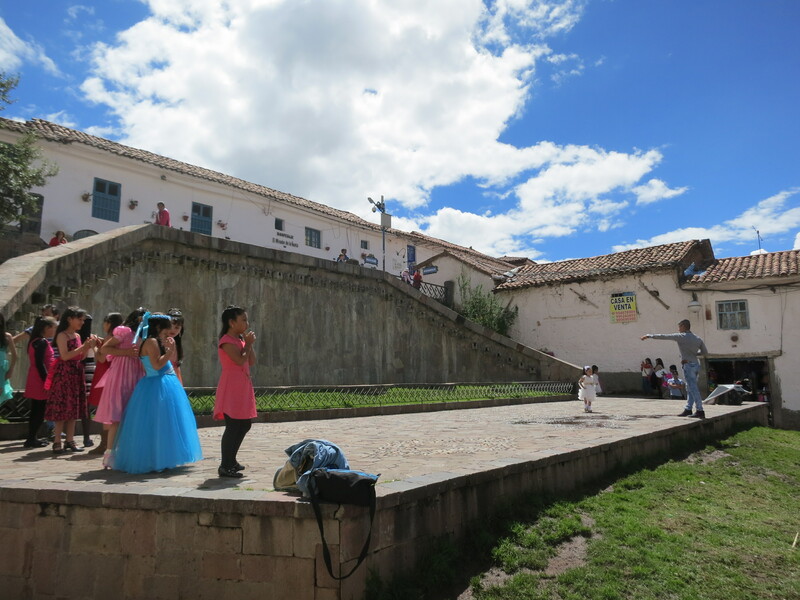 We went to San Blas, a local traditional market to educate ourselves about alpaca fur. True alpaca is said to be cooler to the touch, and has a soft soapy feel. After several rounds of beer, we went for a large of spaghetti and a glass of pisco sour for a happy ending. Claudia and Alejandro were very fun travel buddies. I was laughing all day (it may be because of his jokes or the beer). After saying goodbye, Alejandro walked home with a disappointed smile and a bag of booze. He complained that it was late and he “had” to finish the last bottle of Special Edition Cusquena by himself. Dear buddy, I may be drunk but I am not blind. It was your ultimate wish to savor that bottle of beer by yourself, haha.